4Easysoft FLV Video Converter is the perfect Video to FLV Converter, which can convert any mainstream video to FLV freely. 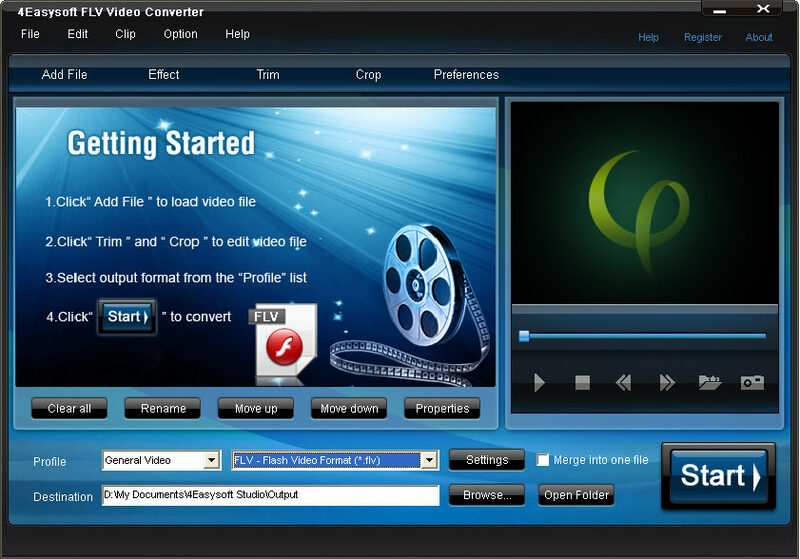 You can use this professional FLV Converter to convert video MP4. AVI, MPEG, WMV, VOB, MTS, MKV, etc. to YouTube FLV and SEF file so as to share FLV video online. To make the converted FLV video different, you can edit the video effect with powerful editing features: trim, crop, merge, watermark, adjusting video brightness/contrast/saturation, etc.